I accidently found this scorpion in my house under a stool while I was getting things together to photograph a caterpillar. The scorpion’s tail was totally encased in spider web. It would not be able to use its tail, so I performed “surgery” on the scorpion. With a pair of tweezers, I carefully pulled the spider web off piece by piece. 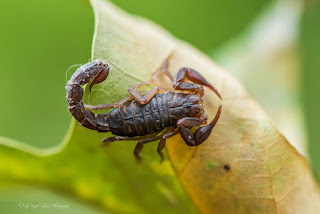 The scorpion then became my new subject to photograph. I took it outside and noticed it still had some silk on its tail. After his photo shoot, he was freed in my backyard. This is Claudia and my dad's dog Ellie Mae. 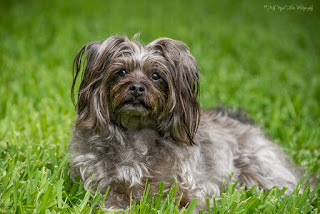 She was a very sweet dog and loved by so many. Ellie had a heart murmur and passed away unexpectedly last month. She will be truly missed. My extended family went on vacation last month, and Ellie went too. Dad had a milk crate mounted on the back of his bike for her to ride in. All I had to do was ask, "Do you want to go for a bike ride?" She would get very excited and stare at the bike until I put her in the crate. Here are a few cell phone photos of her. I took her for many rides around the lake. The last time I took her for a ride, I thought we were going to get drenched. I looked at the weather map before we left and saw rain coming but decided to take her for a quick ride. When I got almost half way around the lake, I saw the rain coming over the mountain! I immediately turned around and as I peddled very quickly, I told her we were going to get wet. Luckily, we made it back to the house! We all miss you Ellie Mae!! Before I blog about my photograph, I wanted to introduce a neat new camera that uses a 16 lens system to take a single photograph and the company that makes it. After launching a new compact camera, Light also launched the #VantagePoint project to share great photos and photographers' stories from around the world. Participants can post a picture from one of their favorite places and talk about the location and work that went into the shot. Click on the links to learn more about this neat camera technology and company. Followers of my blog know my second home is the State Botanical Garden of Georgia, in Athens. They know I frequently write about the background story to the photograph, so naturally this is the perfect opportunity to write about my favorite photograph and place. 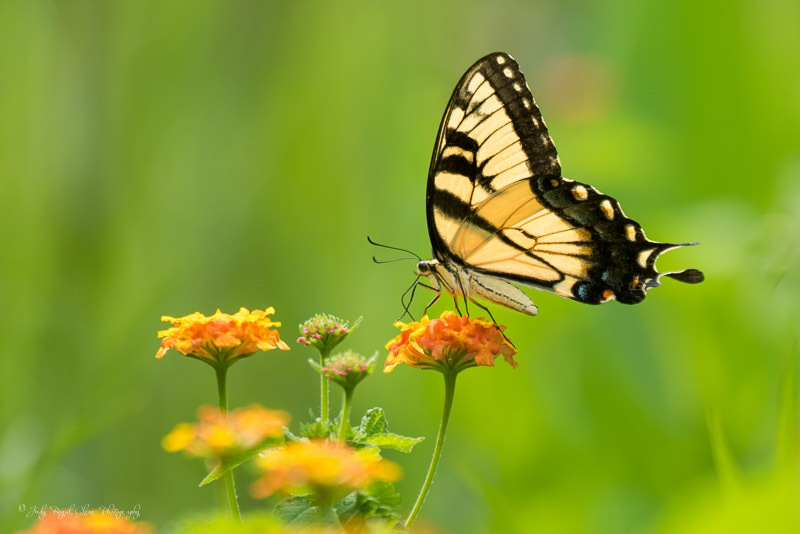 The State Botanical Garden of Georgia is a magical place where flowers, plants, and wildlife are show cased on a 313-acre preserve owned by the University of Georgia. I am drawn there to photograph its beauty. The ruby-throated hummingbird is my favorite subject to photograph. 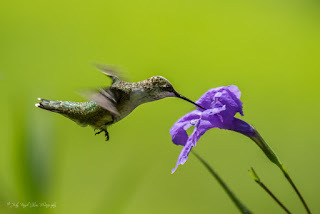 I researched and designed the Hummingbird Trail and lead trail walks for visitors to see where hummingbirds are feeding and perching throughout the garden. 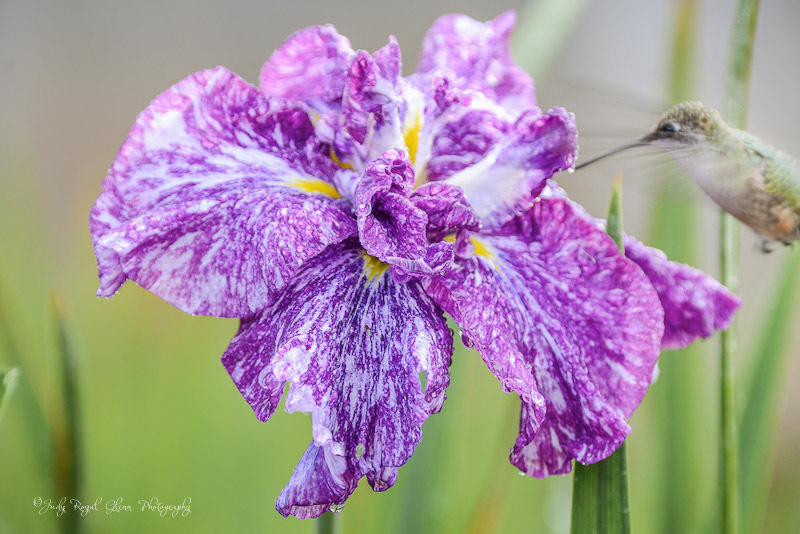 While I have photographed thousands of ruby-throated hummingbirds over the last five years, none will ever top the photograph I titled “Two Miracles.” This photograph of a ruby-throated hummingbird feeding on a Japanese iris represents two miracles. The starting vision for the photograph began when Shelly, one of the curators, walked me to the iris garden to share with me a special story about a former worker. Jason worked at the garden, and his favorite flower was the beautiful Japanese iris. On September 18, 2012, Jason was killed in a tragic car accident. Nearing the anniversary of his death, the Japanese flower was miraculously blooming. Out of thousands of plants, none bloomed except this one flower. The plant had been in the ground four or five years and never bloomed in September. This first miracle motivated me to set out several mornings to photograph the flower, but it had not opened. 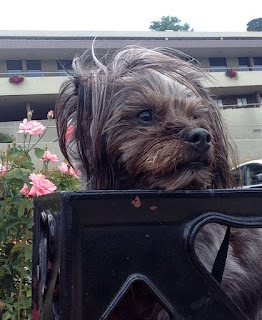 On September 20, 2013, I arrived early hoping the flower was open. Peering into the iris garden, I noticed the beautiful flower had opened and was drenched with dew. With perfect morning light coming, I quickly set the self-timer on my camera to capture the photograph after a two second delay. I did not want my hands to shake the camera. After taking a series of photographs this way, I paused to scroll through the images. What I saw immediately filled me with awe and made me cry. A hummingbird slipped in to feed on the flower. I never heard or saw the hummingbird! Truly the picture was two miracles. Before long, Shelly joined me in the iris garden. He too was amazed at the photograph. He told me the flower opened the day before. The flower opened one year and one day after Jason's death. If you would like to see other photographs documenting the story or to learn more details, you can click here. The image showing the flower before it bloomed can be seen here. 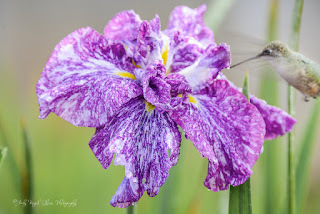 Click here to see the images from September 2014 and 2015 documenting the Japanese iris did not bloom. I did all the things possible to perfect my envisioned photograph. Time, patience, perseverance and God's help allowed me to capture my favorite photograph at my favorite place. You can follow my photography on Instagram, Facebook, Pinterest, Google +, Blogger, Flickr, Twitter and videos on YouTube. Yesterday, I traveled to Ball Ground, Georgia to photograph hummingbirds. 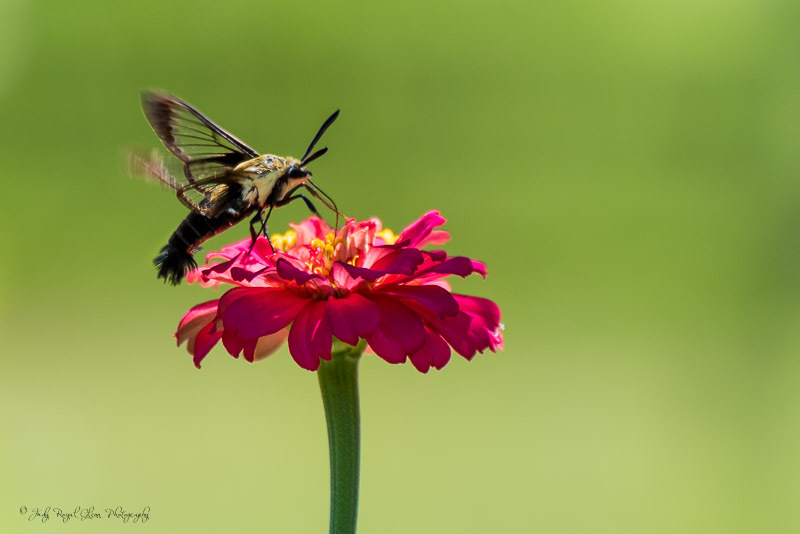 I was pleasantly surprised to find a hummingbird moth. I have only photographed them a few times, so I followed him around for a long time. Nature sometimes stops me in my tracks—I see beauty and have to stop to photograph it. 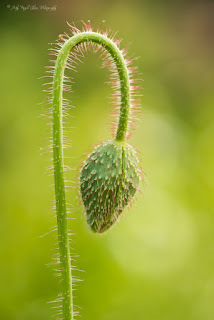 This emerging poppy flower was beautiful even before it opened. The more I photograph, the more I envision the shot I want. I try to make everything perfect. For wildlife, I focus on the eye of the critter I am photographing. If the shot involves a flower, the flower has to be positioned just right. If I can, I move distracting leaves. A clean, pretty background is a must. The last piece of the equation is patience. Sometimes, this is the hardest part as some photographs take hours waiting for a hummingbird to come to a certain flower. Sometimes the envisioned shot does not occur the first day I try. It took three days to capture this shot. 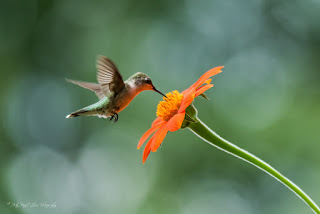 Patience paid off as I had my camera pointed at the Mexican sunflower yesterday and an immature ruby-throated hummingbird came to feed off the flower. 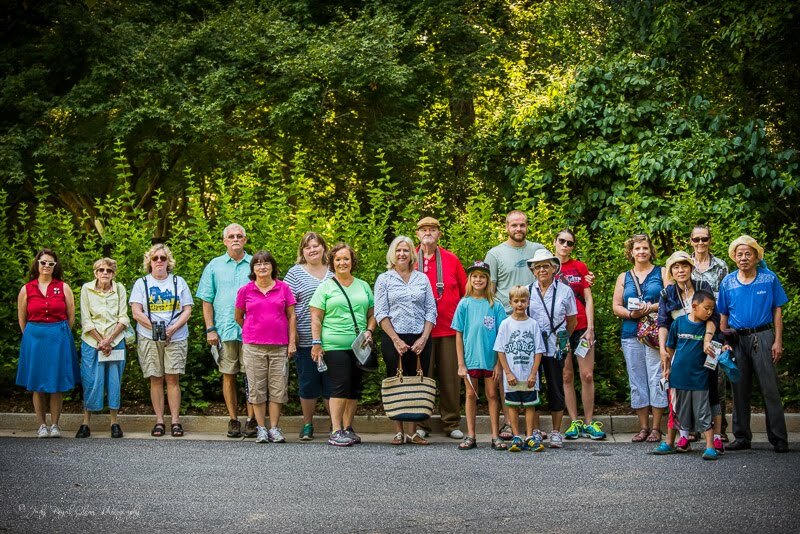 This photograph was taken at marker #11 on the Hummingbird Trail at the State Botanical Garden of Georgia. It's funny how the Lord orchestrates details in our lives. I went to the Blue Ridge Mountains Christian Writers Conference again in 2016. For the last few years, I have left the conference and travelled the short distance to the Biltmore Estate to photograph the gardens for the day. I prayed I would meet who the Lord would have me meet. As I stood at the back of my car getting my gear ready for the day, another visitor said something to me. As we conversed, I found out she too was at the conference. The conference lasted five days, yet we never met. 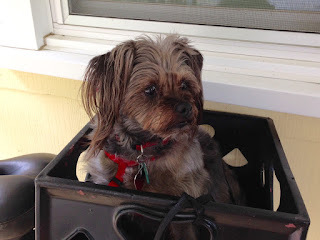 We went to the greenhouses and admired the beautiful flowers and plants. 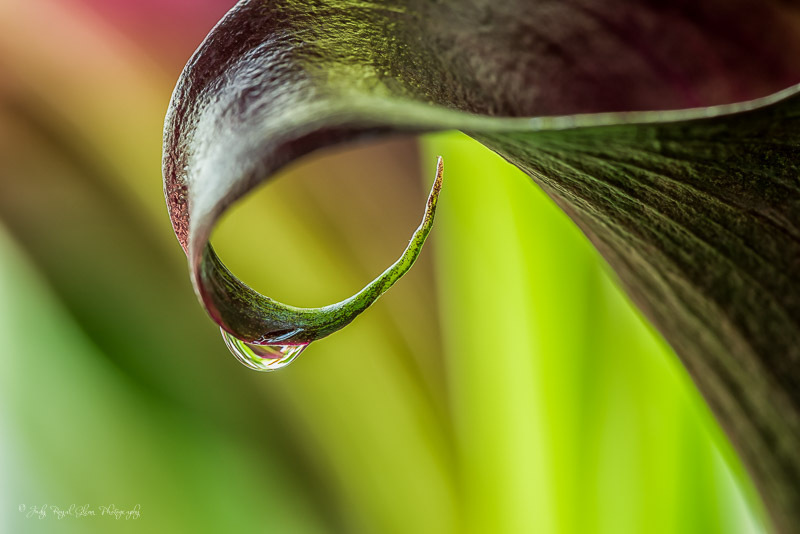 As we passed the canna lilies, she noticed a small drop of water beneath the flower. The beauty of the flower captured me, and I had to photograph it. I'm sure I looked like a three ring circus as I set up my tripod, camera, and then used my diffuser to block the strong early morning light. Thank you Joni Vance for pointing out the beauty I would not have noticed. 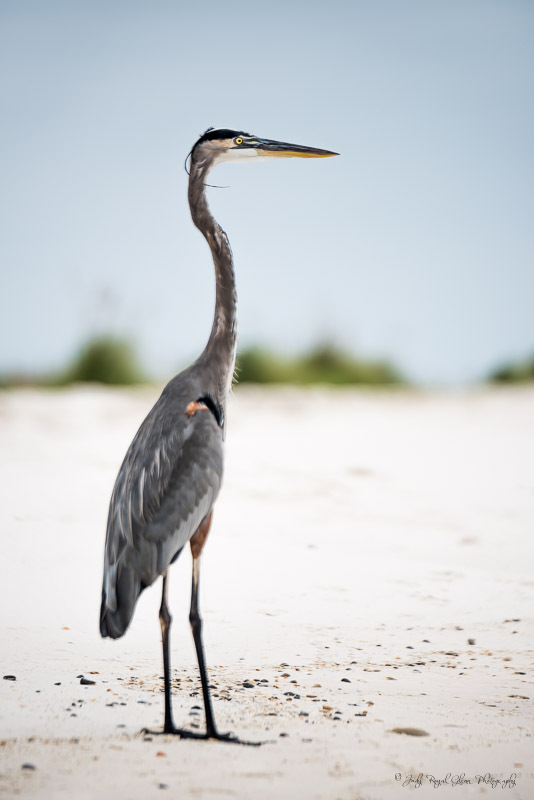 This great blue heron is no stranger to humans. He has a hook with fishing line in his right thigh. A hummingbird’s wings beat 40-80 beats per second with the average being 52. When I photograph hummingbirds, I typically won't shoot below 1/1000 of a second, so I can freeze their wings a little better. Shooting 1/1600 of a second freezes them well. I tried to have less ISO, so I compromised and shot at 1/800 of a second. Yes, I wish I had used a higher shutter speed because it would have made the shot look better. This shutter speed made his wings look like a whirlwind! 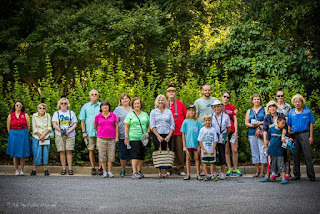 I also took a group on a tour of the Hummingbird Trail Saturday. There were 22 people there. Some came a little late and did not make the photograph. We had a great time!